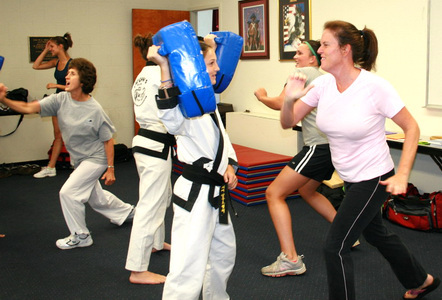 Vaughn’s Dojang periodically conducts self-defense seminars at our Audubon dojang and at locations throughout our community. 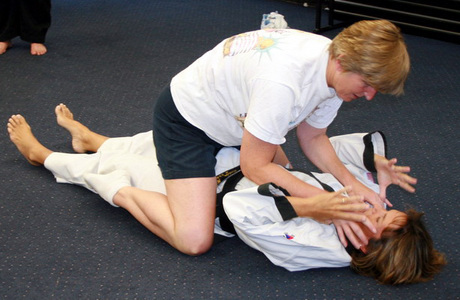 Most seminars are 2 hours in length and are designed to train individuals in safety awareness and to introduce basic self-defense techniques. 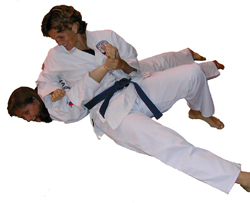 The goals of the seminars are: to build confidence; to access strengths, assertiveness, and abilities regardless of size or age; to discuss avoiding dangerous situations; to assess types of violent assaults and attackers in our society; and to learn and practice basic self-defense techniques in order to release holds and disable attackers. 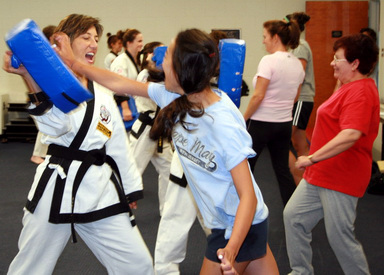 Many seminars are specifically designed for women and teenage girls (13 years of age & older). Female college students are strongly urged to attend. 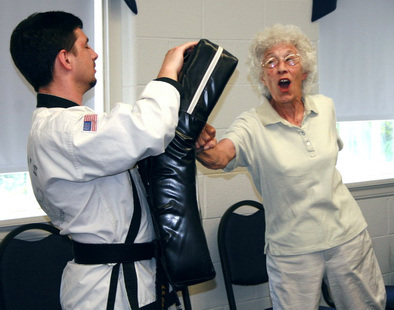 Women who attend often invite a friend, daughter, sister, mother, or grandmother to accompany them. We also conduct seminars that are appropriate for both males and females and owing to our extensive experience we can easily adapt the content of the seminar to suit the make-up of the class. 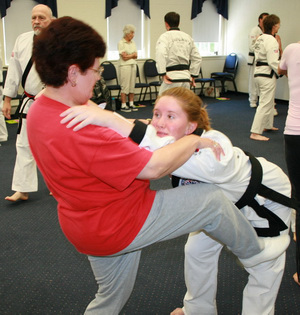 The training is conducted by female and male Black Belt instructors trained and certified by the World Tang Soo Do Association. 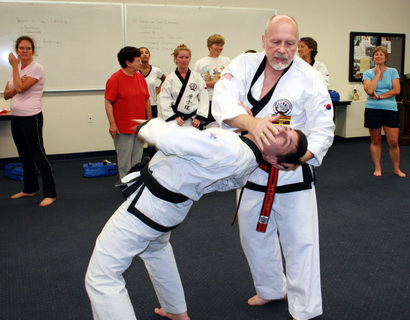 If you or your organization is interested in having Vaughn’s Dojang conduct a self-defense seminar, please contact Master Chuck Vaughn at our Audubon location either by telephone (610-676-0691) or email (emptyhand@comcast.net). Click an image to view larger photos.